J&J Metro specializes in relocating residential and office complexes. 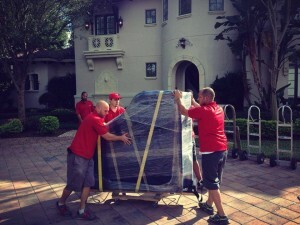 Our staff of professional movers are always ready to handle any move you may have. No job is too large or too small for us to do. 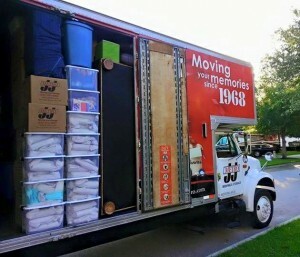 We enjoy “helping people to MOVE up in today’s world!” We have been specializing in Orlando Moving Services since 1968. J&J Metro Moving and Storage is able to handle any job whether large or small. One of our cheerful representatives is available to give you a quote. If you a have a rental truck and need help loading or unloading it, give us a call. We can send out some professional help to get the job done for you. J&J Metro has worked with many Model Home companies over the years. This involves working with builders, interior decorators, and designers. J&J Metro offers receiving services at our storage facility, storage, delivery out , and set up. Please call for more information on this Orlando Moving Service. 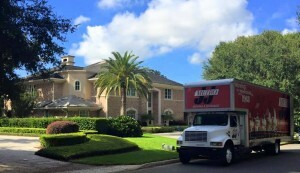 EMERGENCY SERVICE J&J Metro offers Orlando Moving Service for emergencies. We have experience in working with fire, water, tornado, and hurricane damaged properties. We offer full service to help, aid, and assist you during your time of need. We are familiar with working with insurance companies and can work directly with them for payment of your services.